Like "hipster," the word "Brooklyn" has become little more than a punchline in regards to music. It&apos;s an integral part of any snarky music writer&apos;s vocabulary, and it can be used to describe any music that&apos;s quirky, edgy, pretentious or containing banjos. But long before Brooklyn spawned the Yeah Yeah Yeahs, TV on the Radio, Grizzly Bear and the rest of the bands that spearheaded the indie revolution, it was already a musical Mecca. 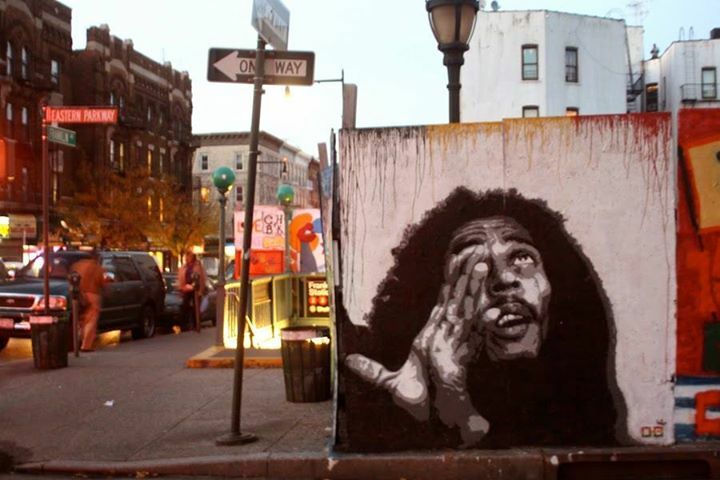 Without Brooklyn, we might not have a reggae scene in this country. American classical music and jazz might look completely different. And hip-hop may never have become the global movement it now is. These contributions are frequently overlooked in discussions of Brooklyn music, but all of them are indispensable to understanding what the borough actually means. American classical music. Two of the most important names in American classical music were born in Brooklyn — George Gershwin and Aaron Copland. Copland shared similar ambitions to fuse high symphonic art with the music of New York&apos;s streets. "Copland said from the beginning that he wanted to write music that would let you know how it felt to be alive on the streets of Brooklyn," PBS wrote of the composer for his episode for their "Keeping Score" series. Copland also went on to inspire to numerous American composers after him, including Leonard Bernstein, who once introduced Copland as the "dean of all American music" for one of his Young People&apos;s Concerts, subtitled "What Is American Music?" Jazz. Copland and Gershwin invented a particularly American sound by adopting the jazz that thrived in Brooklyn throughout the early part of the 20th century. "The music was everywhere. Every little corner bar had jazz," Freddie Robinson, longtime Brooklyn resident and former musician, told Brooklyn Rail. Max Roach, Cecil Taylor and Betty Cater all called the borough home at one point or another during their lives. And Billie Holiday got her start singing in a Brooklyn club. From the late 1950s to the late &apos;70s, Brooklyn jazz was especially hot. Some of jazz&apos;s most visionary names, such as Freddie Hubbard, Eric Dolphy and Wes Montgomery lived and created in a communal house on 245 Carlton Avenue, in Brooklyn&apos;s Fort Greene neighborhood. Dolphy used the house&apos;s number, "245," as the title for a song on his 1960 Outward Bound album. "It was a house full of musical inspiration," Locksley Wellington "Slide" Hampton, the house&apos;s owner, told Borough Buzz. "We were all composing music in some way. There was inspiration all over the place towards music and composition." Reggae. According to 2012 demographic studies, Brooklyn has long contained the largest Caribbean population outside of the Caribbean itself. And the community is largely responsible for the popularity of reggae in the United States. "In some sense, reggae in the United States could not have happened without Brooklyn being a way station for [reggae acts]," Darrell McNeill, associate producer of music programming at Brooklyn Academy of Music, told Mic. The biggest names in reggae made a point to stop in Brooklyn to connect with the Caribbean community. Reggae clubs and independent reggae record stores in the Flatbush area provided early support for the genre. "One could make the argument that people like Bob Marley and the Wailers, Peter Tosh, Bunny Wailer, all the reggae greats," McNeill told Mic, "that scene would not have been able to take hold here if Brooklyn didn&apos;t serve as a bulkhead." Hip-hop. Brooklyn&apos;s most lasting innovation was hip-hop. 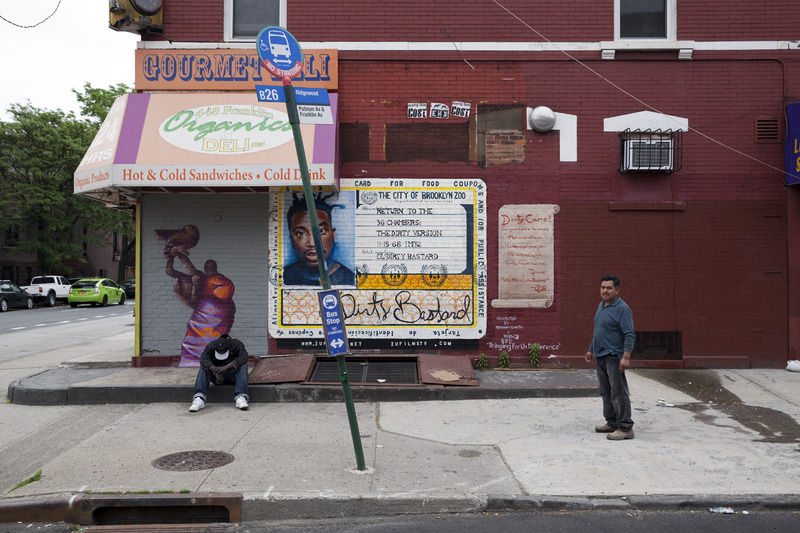 Hip-hop may have been born in the Bronx, but it came of age in Brooklyn. "For any revolution — which is really what hip-hop is — to take root, you need money. At some point you need a middle-class participant, and this goes back to the French Revolution, American Revolution, Cuban Revolution," Wes Jackson, executive director and founder of the Brooklyn Hip-hop Festival, told Mic. "[Hip-hop] started with the people who really have society&apos;s foot on their neck — which was South Bronx after the blackouts, the riots and the burnt out buildings. [Hip-hop] was built out of that crucible. But basically, the people of the Bronx were too broke and focused on just trying to maintain that they didn&apos;t have the means to take it to the next level." As the music moved east to Queens and Long Island, it reached artists with more resources to buy turntables and microphones, with more comfort and time, but Jackson argues these communities diluted some of the genre&apos;s revolutionary fire. Brooklyn, though, provided the perfect balance: a large middle class and money coming in from Manhattan, along with a sense of struggle similar to what was going on in the Bronx. Brooklyn produced legends like Biggie, Jay Z and Big Daddy Kane, an often overlooked godfather who boasted tremendous influence, pioneering much of the fashion, swagger and lyrical complexity that would later define the genre. "One of the most significant parts of Brooklyn hip-hop was the formation of Black Star," Jackson told Mic, referring to a socially conscious rap duo made up of Mos Def, aka Yasiin Bey, and Talib Kweli. "[They] really took the mantle of the golden era of A Tribe Called Quest and De La [Soul], and basically ushered it in and brought in a whole other generation you didn&apos;t see before." Jackson sees Kendrick Lamar and J. Cole as two artists directly bringing forward the revolutionary mentality that Black Star reintroduced. Today, though, Brooklyn&apos;s vitality as a creative neighborhood is currently in serious jeopardy. With the ever-present specter of gentrification, artists are gradually getting priced out of areas that used to be hotbeds of creative energy. When the neighborhood bars and starving artist haunts start getting replaced by fabricated chain stores, you lose the grittiness and the authenticity that brings artists in the first place, Jack Walsh, executive producer of Celebrate Brooklyn explained to Mic. "The music scene is certainly not immune to that. It affects the places to play," Walsh said. "You ask any musician, there&apos;s just less places to play than there used to be. That&apos;s a fact. That&apos;s a thing that&apos;s changing and it&apos;s troubling." We&apos;ve seen a lot of it last year — especially on Williamsburg&apos;s waterfront closing. One after another, they disappeared, starting with 285 Kent, then Death by Audio, then Glasslands. They all affected the indie music scene particularly, which itself pushed out many of the contributors to the other scenes discussed. However, this boom and bust might be the natural course of artistic movements. "The minute you say that something is a scene, you&apos;re already embedding a shelf life on it," McNeill told Mic. "At a certain point it wears out its welcome, the economics max out ... and people start asking what&apos;s the next big thing." One thing&apos;s for certain, though — the history of Brooklyn music runs deeper and richer than any one scene, indie or otherwise.